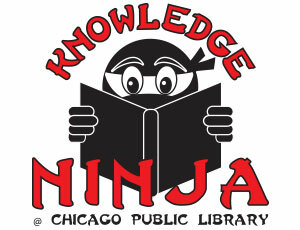 The Knowledge Ninja is looking for kindergartners through second-graders to complete this challenge and become Knowledge Ninjas. Use your ninja skills to investigate, then answer the questions below by October 13 to be entered in a raffle to win a prize to help you continue your ninja training. Watch for more challenges coming soon! Firefighters are important members of our community who help us in many ways, especially during emergencies. Explore all the things that firefighters do and see what equipment they use to stay safe while doing dangerous work. Firefighters to the Rescue! by Bobbie Kalman: Explore the fire station, firefighting equipment and what it takes to become a firefighter through photos and easy-to-read text. Want to learn more? Check out our complete list of recommended titles. Fighting the Flames: Compare firefighters and fire engines of the past and present by looking at photos of both time periods. Firefighters Work Together: Depicts firefighters working together to accomplish a variety of necessary tasks. Gear Up Firefighter: Shows all the gear a firefighter wears, and includes safety tips for exiting a building in case of fire. Time to Practice Fire Safety: Four safety tips that will help you and your family be ready in case of emergency. Fire Safe Kid: Become a fire safe kid by learning about fire safety through games and puzzles presented by the Burn Institute. It’s Time to Fight a Fire: Watch an online story of how a fire is contained by firefighters, then complete related activities. Let’s Get Ready: Planning Together for Emergencies: Sesame Street helps families get ready for emergencies with videos featuring Grover, downloadable activity booklets and songs about fire safety. Listen and Read: Firefighters are Heroes: Read a short book about firefighters or have it read to you! Sparky’s Firehouse: Fire Trucks: Learn all about different kinds of fire trucks and play some fire truck games in Sparky’s Firehouse.